I recently exhumed from storage 2 cases of pinot noir for tasting purposes, one vertical of O’Reilly’s Pinot Noir (’05, ’06, ’07) and a mixed case of Burgundy blends from some of my favorite labels including Meo-Camuzet, R. Chevillon, Claude Dugat, and Domaine Forey. I’m planning a proper vertical tasting of the O’Reilly’s, for which I’ll likely dig up an ’08 and ’09, for the half-decade run. O’Reilly’s is a lower cost pinot noir blend made up of declassified grapes sourced from the numerous significant vineyards from which Owen Roe crafts their fabulous Oregon wines. 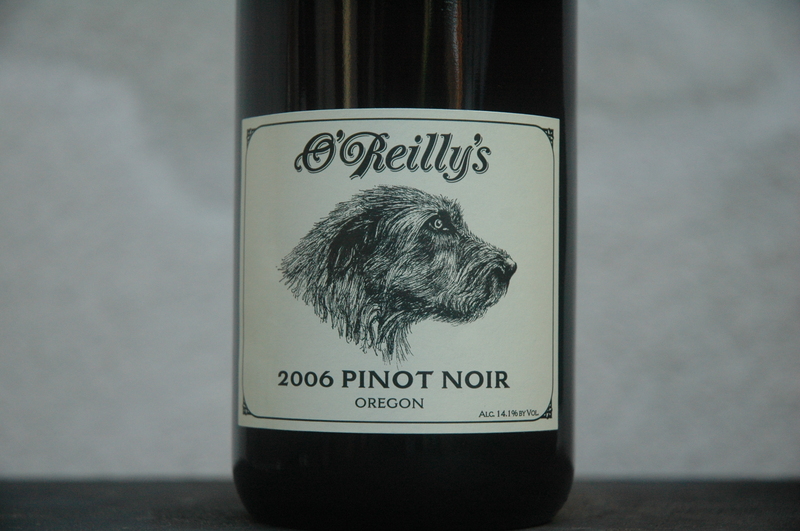 Recently, an O’Reilly’s Pinot Noir 2006 showed very nicely, but could still benefit from a couple of years nap. Further tasting notes after the vertical. A serious AOC villages blend. later, is still quite stirring, most notably “America is Waiting” and “Jezebel Spirit” which play off of secular and religious aspects of American yearning. My Life in the Bush of Ghosts remains one of the most engaging pieces of music that has been recorded in the this country, during my lifetime. The Meo-Camuzet Frere & Soeurs Bourgogne 2002 is much bigger than I would have expected from a nearly decade old introductory level pinot noir, even from a serious Burgundy house like Meo-Camuzet. Much like the 1996 Cote de Nuits, I’ve found the 2002s to be very slow to mature. This wine is a tannic monster and much of the detail is lost to the sheer weight of this juice, so in goes the vacu vin. Many big wines and most especially big dessert wines often fair much better, after being opened and then vacuum sealed for a day or more. 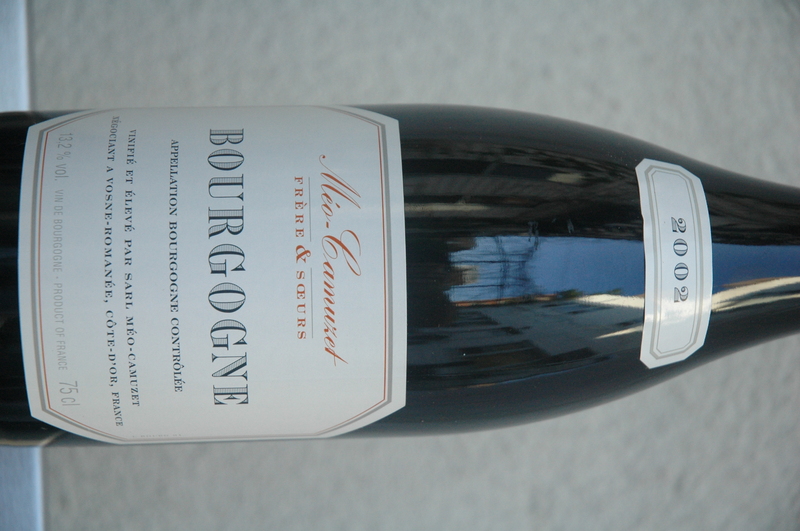 A day later and another hour of air and the Meo-Camuzet Bourgogne is approachable, but still weighty. Red fruits have begun to emerge, countered by petrol, fresh mint and white pepper. The wine is nice, but the three remaining bottles are going back into temperature controlled storage for at least another couple of years.